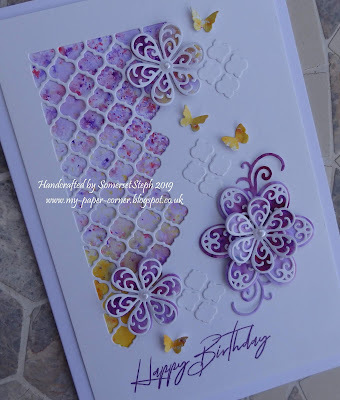 Another inky card to share ... this time using worn lipstick with a touch of milled lavender distress inks sponged through an art stencil to create my abstract background before over stamping the carnations in black, adding colour to the flowers with a water brush again with DIs. 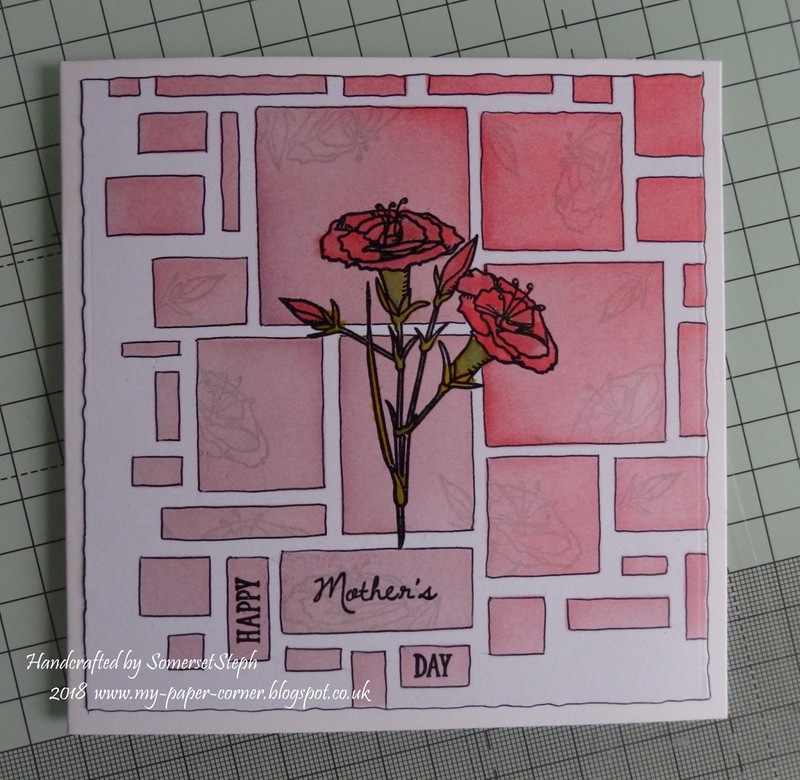 Some of the colour block edges were masked so I could stamp just small parts of the carnations in a lighter grey ink before drawing around each block with a fine tip marker pen to make the whole design pop. 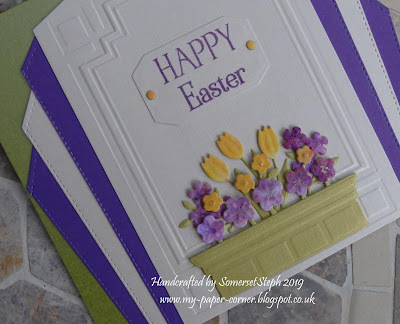 My stamped sentiment fitted perfectly too. The background panel was cut down slightly with a deckle edge to fit my card base, again edged in marker pen. 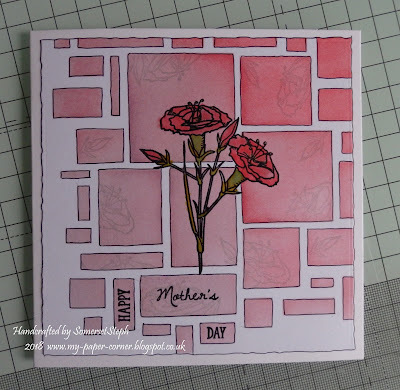 I love the stencilled background. It's very dramatic and a great backdrop for that lovely carnation. Thanks for joining us at The Paper Players this week. 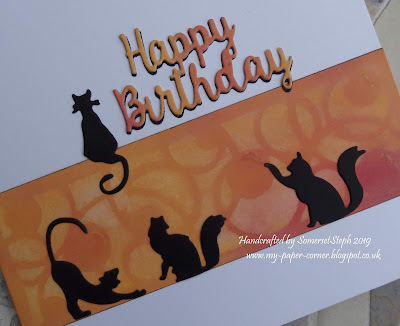 Your background is awesome...such a creative and pretty card! Thanks for playing along at The Paper Players!